Using social media is becoming important for anyone doing business - no matter what kind of business you work in. It’s important for travel writers, too. 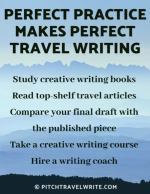 A previous post discussed whether or not social media could help travel writers get assignments. I talked about how it’s rare to receive writing assignments through social media. Editors still prefer the traditional query letter approach. After that post one of our readers, Jan Ross, emailed me and agreed she hadn’t received any assignments directly through social media. But she mentioned she’s had plenty of success with social media in other ways, particularly using Twitter. Intrigued, I asked if I could interview her about how she uses social media and how it helps her as a travel writer. Jan agreed to the interview. She graciously shared her strategies and opened my eyes to a multitude of possibilities. She’s already got a head start on the rest of us who are still scratching our heads, wondering what it’s all about. Jan Ross is editor of the popular travel blog, Wanderlust Wonder. 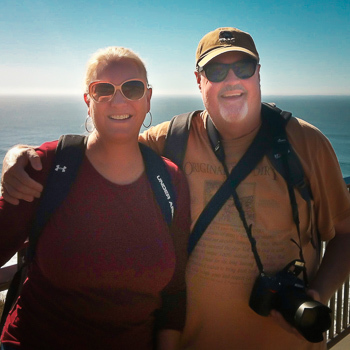 She and her husband Tom travel about six months each year, mainly around the U.S.
They’ve been doing this for the past 6 years with many years of part time travel before that. 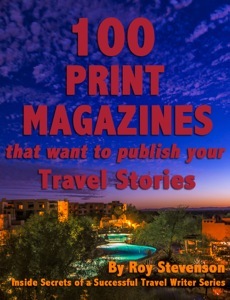 Jan’s travel stories have been published in a variety of print magazines, websites and on her blog. Here’s our interview. I think you’ll be fascinated by what she has to say. What media assignments do you use when you travel? You mentioned that you use Twitter extensively when you travel. Can you tell us how you use Twitter for your travels and travel writing? “I use Twitter to publicize any articles and photos on our blog, both at home and when traveling. When traveling, I use it extensively to share photos and information about where we are visiting, eating, touring, etc. "Every Friday I post a photo from our travels on our blog, and call it “Photo Friday”. Usually I include just a sentence or two to explain where the photo was taken or something about it. It’s a way to use up the hundreds of photos my husband takes - and a way to get up another post to share with social media. "We’ve received some trips based on Tom’s photography, for example a cruise in British Columbia when the cruise line, Un-Cruise Adventures, needed photos of a particular itinerary. My husband’s photos are on their web site. "It's very common for whomever I’m writing about to immediately retweet or favorite the tweets I’m sharing about them. So my name is getting out to hundreds more people. You use Twitter to contact CVB’s and tourism agencies to arrange assistance with travel expenses. Can you explain how you do this? “I use Twitter to directly contact any organization I think might be interested in working with us." "Most usually after they have begun following me, but sometimes if we are heading to a certain location and want to visit a restaurant, for example, I will contact them this way. "Once they are following me, I can direct message them to express my interest and I will often get a reply. For example, a real estate company in Florida began following me a while back, probably because I often write about visiting the area. "When I saw that they represented properties in Destin and some other areas, I direct messaged them to express my interest in working together some time to visit one of their rental properties and write about it. They replied immediately and were interested. "Coincidentally, I was in the process of planning a trip to Destin so we worked together to arrange a hosted stay in a beautiful property in the Sandestin Resort. We had a gorgeous, four-bedroom house right near the beach, completely comped in exchange for writing about it. “In all honesty, getting organizations of any sort to want to work with you is largely contingent on how you can help them. Do you use any other forms of social media with your travel writing? “I was encouraged to use LinkedIn by another writer on a press trip so I began using it a while back and have already seen results. I was contacted directly and offered a press trip to Florida which included all my expenses, including airfare. When I specifically asked where they had found me, they told me it was from LinkedIn. We also were offered an all expenses paid trip to California by Toyota last year and they said they had found us on social media, including LinkedIn. I also use Google+, which I like because you can share such nice photos but I don't know if I have received any specific trips or writing assignments because of this. “Social media is a great way to share what you are doing. If you don't get the word out about what you are writing, who will? It’s also a good way to get press trips, but travel writing requires a lot of work in addition to spending time on social media. 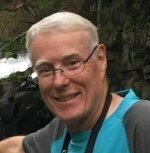 Jan’s travel stories have been published in Living Well 50+; Ky Doc; Health and Wellness (all regional Kentucky magazines); Harbor Magazine (Kenmore Air inflight magazine); Long Weekends (regional Midwest magazine); Senior Living Magazine (Vancouver); Destinations Travel. 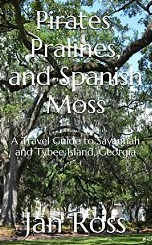 Jan has recently released a travel guide to Savannah and Tybee Island, Georgia, titled Pirates, Pralines and Spanish Moss. It's 80 pages long, packed with suggestions for places to stay, eat and play along with her personal travel stories about one of the most beautiful cities in the south. It's available on amazon.com in the Kindle store. 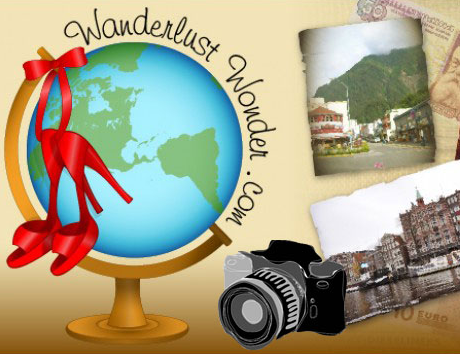 You can learn more about Jan on her travel blog, Wanderlust Wonder and you can connect with her on Twitter: @janross53. 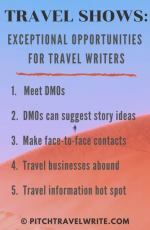 Travel Writers: Will Social Media Help You Get Published?